The new Aylesford School website is now live! Find out more about ‘An Education That Builds Character’. 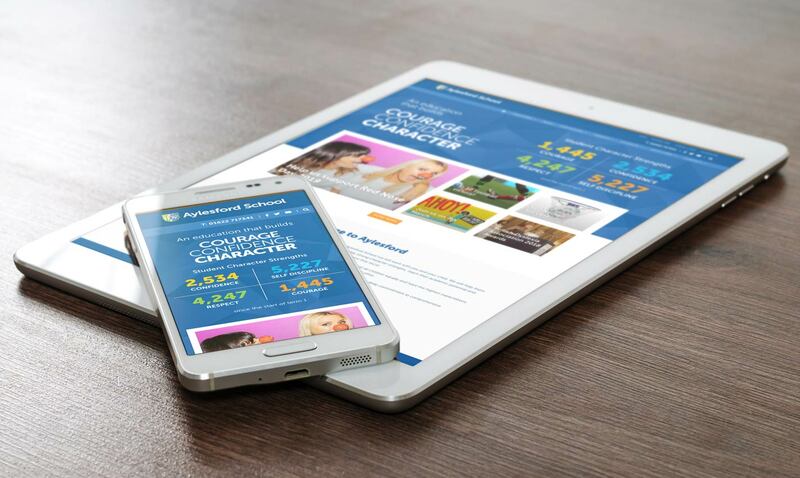 Character Education is at the heart of all that we do at Aylesford School, and it is a main focus of our new website, with a character point totals updated regularly - you can see the character strengths that Aylesford Students are demonstrating each day. We hope you really enjoy the new site and that you feel it is both a useful resource and a great window into the life of our school.